AcroContact is a combination of Acrobalance (a.k.a. AcroYoga) and Contact Improv dance. 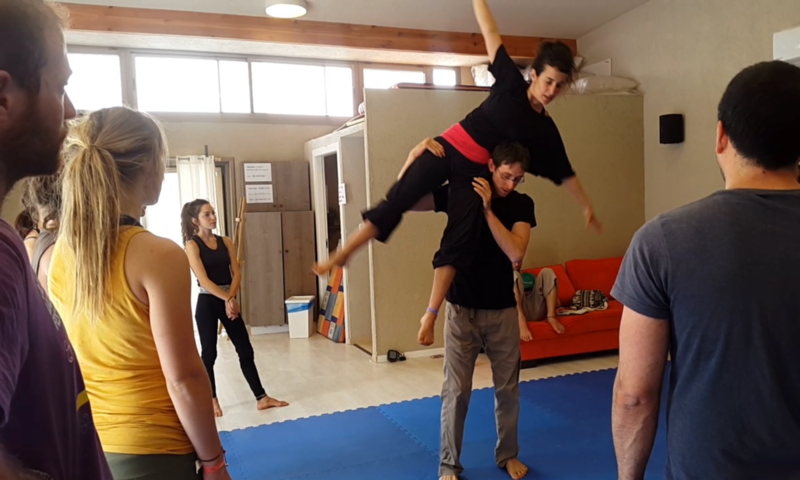 We combined Acro and Contact to bring the wide variety of challenging and amazing Acrobalance positions into the soft, flowing, improvisational and dynamically moving dance that is Contact Improv. Watch our AcroContact Videos with music on YouTube.